Boston – November 12, 2014 – Back by popular demand, Campaign for a Commercial-Free Childhood (CCFC) has launched its 6th annual contest for Worst Toy of the Year: the dreaded TOADY (Toys Oppressive And Destructive to Young children) Award. From the multitude of 2014 toys promoting precocious sexuality, violence, branded entertainment, and/or seductive screen time at the expense of creative play, CCFC has selected five "exceptional" finalists. Voting is open at http://commercialfreechildhood.org/TOADY2014. CCFC will announce the TOADY winner on Monday, December 8th. Wearable screens are all the rage. Shouldn’t your little one have one too? The LeapFrog LeapBand, the first fitness tracker for kids, is an ingenious solution to the vexing problem of preschool sloth—far better than turning off the TV and telling your kid to go play. 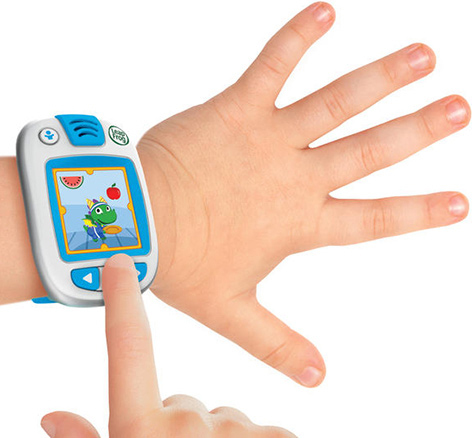 With the LeapBand, she’ll get a virtual pet personal trainer, who encourages her to exercise . . . and rewards her with video games if she does. Which means she’ll need to exercise more. Which means she’ll get more video games. Circle of life. Finally a toy that nurtures little girls’ inner mall rat! Immerse your daughter in the mind-numbing commercialism of America’s shopping meccas without having to drive her to one. With miWorld Mini Mall, girls exercise their creativity by building anything they want . . . as long as it’s a chain store. Build-a-brand options include sweets (Dairy Queen and Sprinkles Cupcakes), shoes and accessories (Skechers and Claire’s), and even a salon (OPI). What more could any girl want? 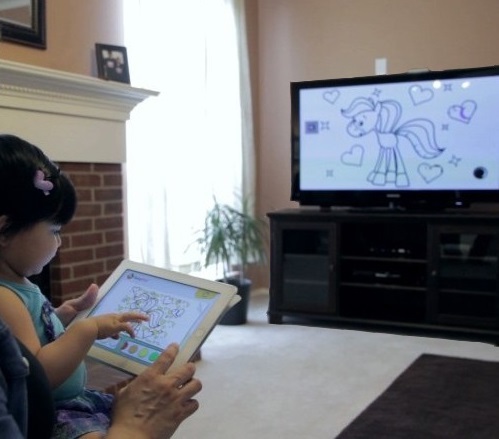 There’s no evidence that one screen benefits babies . . . so why not try two? Prepare your little one for a lifetime of digital multitasking with the BabyFirst U-verse app, the first “second screen” experience for infants and toddlers. When your little one “draws” on a tablet or smart phone, his “creations” appear on the TV screen right over regular BabyFirstTV programing! “Experts” claim that young children learn best from singularly focused activities and multisensory interaction. But the glazed look in baby’s eyes while he’s multitasking shows that something truly revolutionary is happening—right in his developing brain. Help the Girl Scouts teach your daughter she can be anything . . . as long as she looks like Barbie! 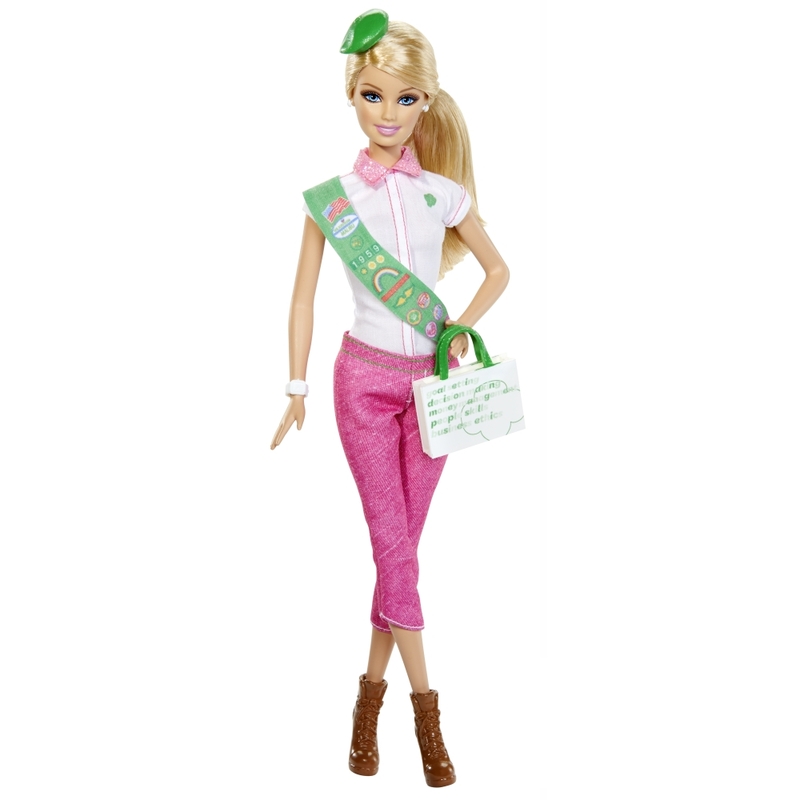 The Barbie Loves Girl Scouts doll, brought to you by a $2 million dollar payoff from Mattel to Girl Scouts of the USA, features Barbie’s trademarked impossibly thin body, pink capris, and high-heeled hiking boots. Of course you can buy other, more scantily clad, sexualized, and obviously TOADY-worthy dolls, but Girl Scout Barbie is the perfect toy to teach your daughter the soul-crushing truth that everything is for sale—including the nation’s largest leadership organization for girls. Worried your child doesn’t have an attention span long enough to consume his recommended daily dose of branded content? 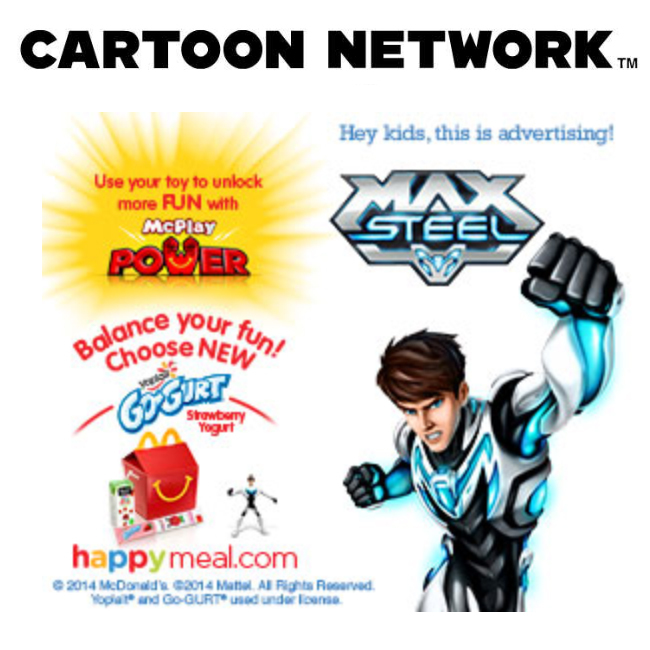 The Cartoon Network Anything app for boys 6-11 features clips from the network's shows, each no more than 15 seconds long. That means a steady stream of bathroom humor and cartoon violence without any superfluous narrative. The app is sponsored by McDonald’s because, really, what else pairs so perfectly with junk? The TOADY Awards were created in response to the Toy Industry Association of America’s annual TOTY (Toy Of The Year) Awards. Last year the iPotty took home the dreaded TOADY. Other past winners were Dallas Cowboy Cheerleader Barbie (2009), Nickelodeon's AddictingGames.com (2010), the Vinci Touchscreen Mobile Learning Tablet (2011), and the Fisher-Price Laugh and Learn Appivity Monkey (2012).